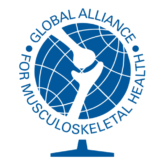 T he Global Alliance for Musculoskeletal Health wishes to bring to your attention a series of papers published in a supplement of the European Spine Journal this month. 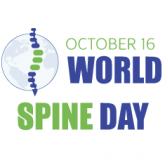 They have been written by the Global Spine Care Initiative (GSCI), a sub group of World Spine Care, which in turn is a project of GMUSC. This was a 4-year initiative, involving numerous individuals forming a GSCI Secretariat as well as a large delphi group that contributed to different papers in this 16 paper series. 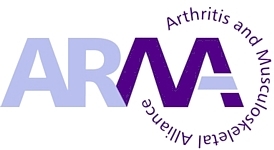 It is hoped that this series of papers will help to raise awareness of the burden of spine conditions and in particular, the challenges faced for people living in low-and middle-income communities and the providers/systems that support spine services in these settings. The papers can be downloaded from the publications section of the GMUSC website. The Global Alliance for Musculoskeletal Health is delighted to inform you about the paper “Reducing the global burden of musculoskeletal conditions” published online in the WHO Bulletin, May 2018.
International experts, working with The Global Alliance for Musculoskeletal Health, are calling for global action from health authorities to address the huge burden of musculoskeletal conditions, which affect about one in three people worldwide, including younger people. You can view the “Reducing the global burden of musculoskeletal conditions” paper here. 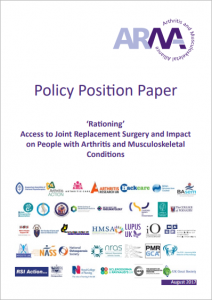 The paper examines the global impact of more than 150 musculoskeletal conditions, including back and neck pain, osteoarthritis, rheumatoid arthritis and fractures, and set three priorities for global action. For more details on these items, open the G-MUSC Update in pdf. 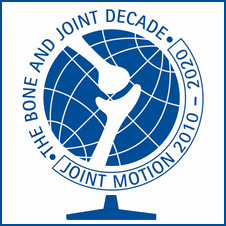 The Global Alliance for Musculoskeletal Health is pleased to announce the first internationally-informed Framework for Developing and Evaluating Musculoskeletal Models of Care. 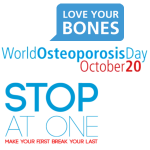 This has been developed by a team of Australian researchers in partnership with the Global Alliance for Musculoskeletal Health. Models of Care are guides or policies that outline the principles of care for particular conditions and how to implement that care in a local setting. The Framework is intended to help those tasked with planning, implementing or evaluating health services to achieve an optimal Model of Care and its sustainable implementation. While the World Health Organization has developed a guide to assist nations in assessing capacity for responding to the burden of cancer, diabetes, cardiovascular disease and lung diseases, this Framework assists nations specifically address musculoskeletal health challenges through Models of Care. Led by Associate Professor Andrew Briggs (Curtin University, Australia), the Framework was informed by experts from 30 nations, representing high, middle and low-income economies, using a phased research approach. 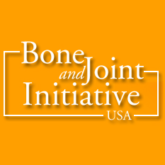 The USBJI was represented by Dr. Kelli Allen, co-chair, and Dr. Tom Best, member, of the USBJI Chronic Osteoarthritis Management Initiative Steering Committee. 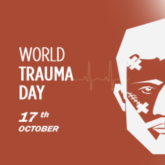 As Governments and other agencies worldwide recognize the immense burden of disease associated with musculoskeletal conditions, Models of Care will become increasingly important as a system-wide response. The Framework will help to support development efforts in Models of Care and offer an approach to standardizing evaluation. Register your details here to receive updates about the Framework, other resources and opportunities to participate in further work related to the Framework. 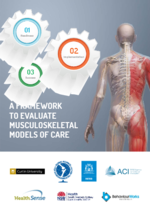 The first internationally-informed Framework for Developing and Evaluating Musculoskeletal Models of Care has been developed by a team of Australian researchers in partnership with The Global Alliance for Musculoskeletal Health. What are Models of Care? The Framework is intended to help those tasked with planning, implementing or evaluating health services to achieve an optimal Model of Care and its sustainable implementation. While the World Health Organisation has developed a guide to assist nations in assessing capacity for responding to the burden of cancer, diabetes, cardiovascular disease and lung diseases, this Framework assists nations specifically address musculoskeletal health challenges through Models of Care. Led by Associate Professor Andrew Briggs (Curtin University, Australia), the Framework was informed by experts from 30 nations, representing high, middle and low-income economies, using a phased research approach. As Governments and other agencies worldwide recognise the immense burden of disease associated with musculoskeletal conditions, Models of Care will become increasingly important as a system-wide response. The Framework will help to support development efforts in Models of Care and offer an approach to standardising evaluation.